We went to the Creativ Festival on Saturday. Even though there was an unexpected strike by the transit workers at midnight Friday, which meant traffic was going to be a nightmare, we headed out yesterday morning. I don’t think the transit strike stopped many people. It seemed as though the crowd was pretty much what one would expect at the Festival on a Saturday. 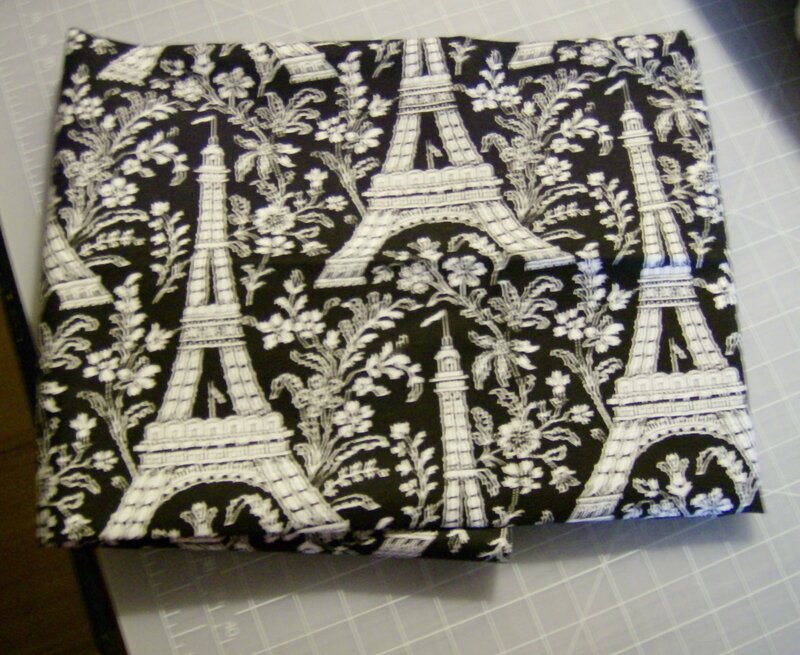 I was a little disappointed that there appeared to be no U.S. vendors, but found some great fabric and notions! 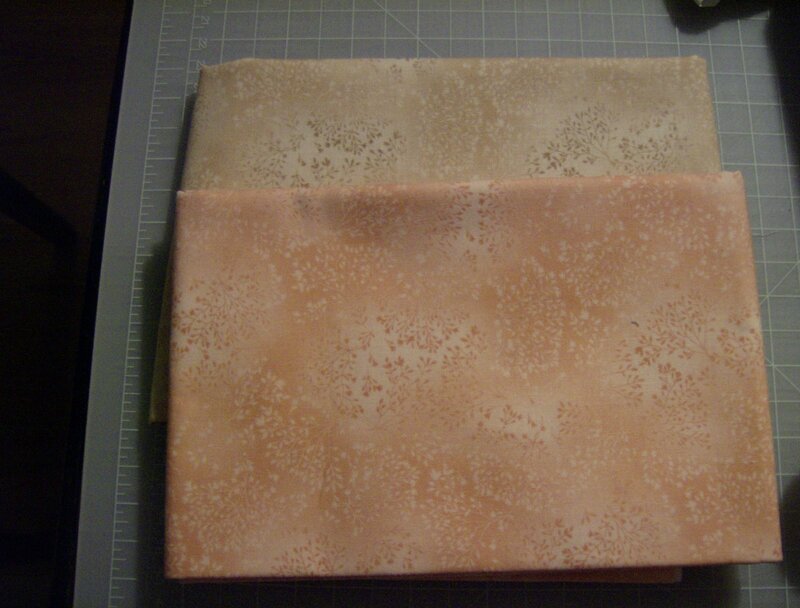 First of all, this set of 5 FQ’s for Insanity and other shabby chic projects. 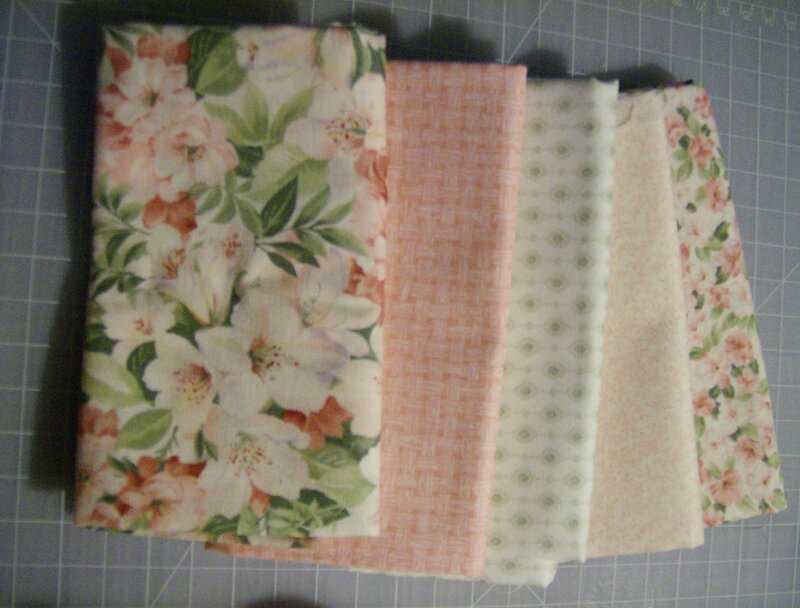 The top floral may be a bit too large for the pieces in Insanity but it will make a wonderful border for a little quilt. This was, to me, the find of the Festival. 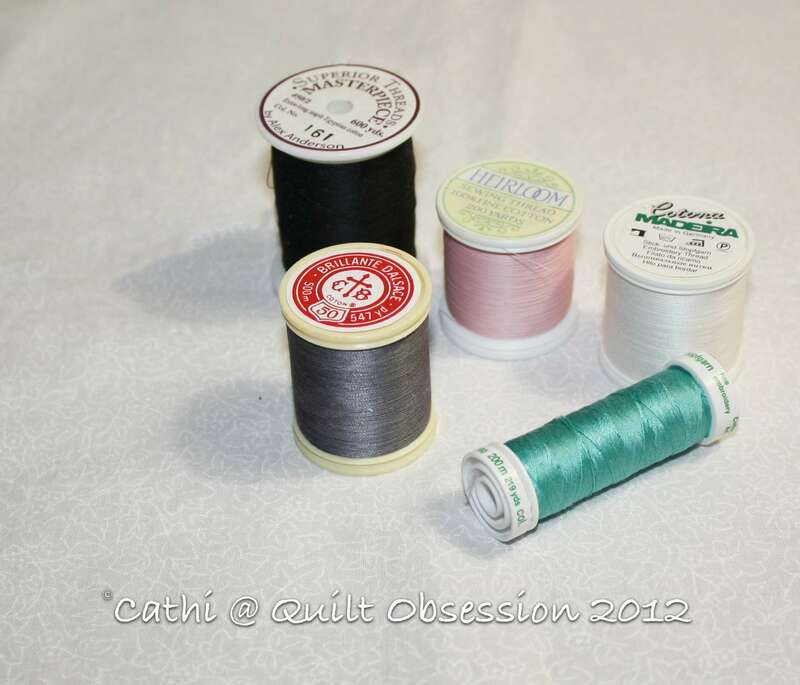 I love using YLI Heirloom thread for piecing (and applique in some instances) but it is next to impossible to find here. When we wandered into the booth that had these and then found out that the vendor is here in Ontario — well, I was so excited you would have thought I’d won a lottery. I immediately scooped up a couple of each colour shown here. 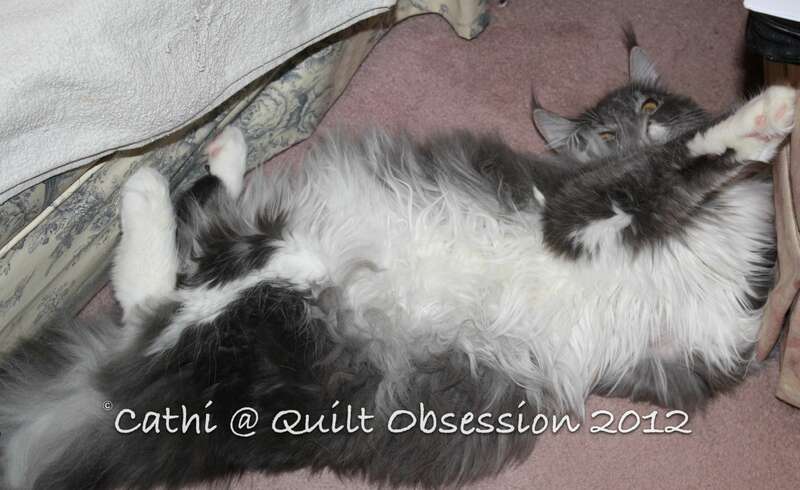 That thread absolutely melts into seams and is super for working with tiny pieces, imo. Of course, some of it is being set aside for Insanity as well. 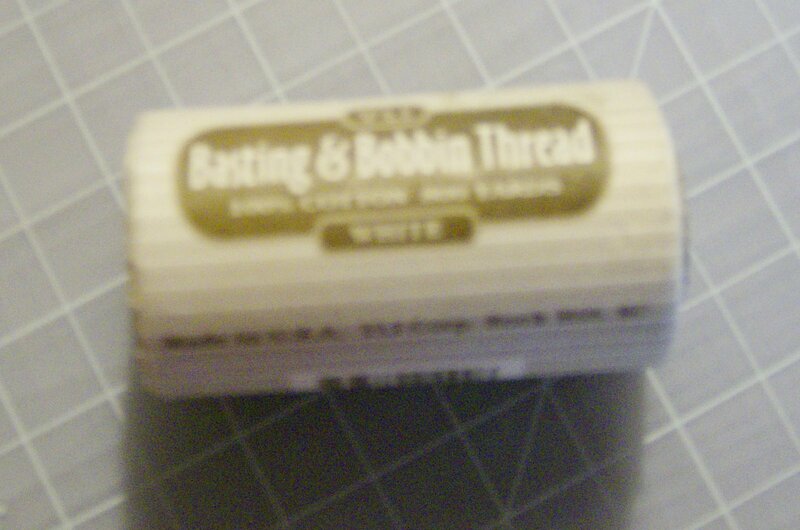 I’ve never used the YLI Basting & Bobbin thread but have heard that it’s quite good for piecing as well. Figured I’d buy some and give it a try! There’s more to come in the next post.